A passion for painting, combined with love of nature, paves the way for Loretta’s creations. 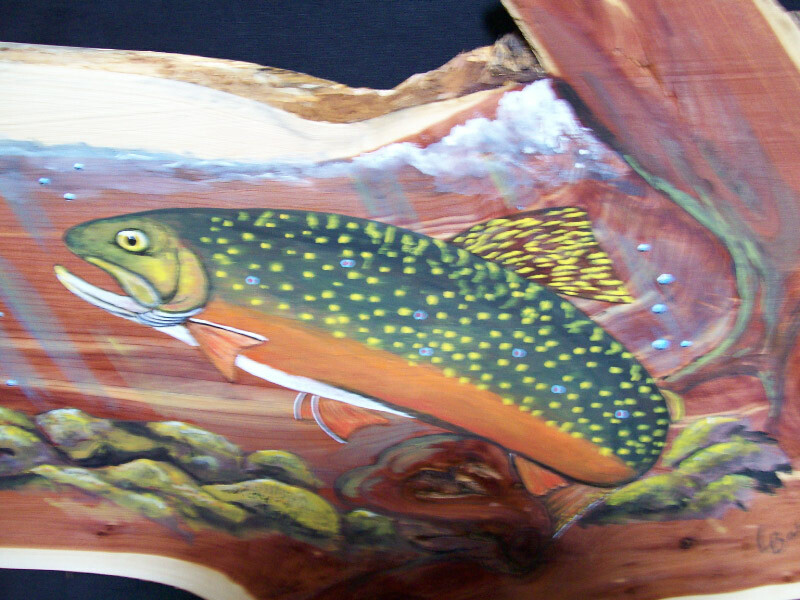 Many of her paintings of wildlife, are on wood that has nature’s flaws (knots, etc.) incorporated into scenery, that is not only lovely, but fanciful. Retirement brought about the move from Michigan to Mountain View, AR. Building where there are bluffs, a creek, woodlands with rock landscapes, and wildlife, all help to feed her imagination. Membership in Off the Beaten Path Studio Tour, Mountain View Art Guild, Mid-Southern Watercolorists, Palette Art League, American Women Artists, American Impressionist Society, as well as the Arkansas Craft Guild, gives the opportunity to participate in functions with like-minded people.